Danelectro was founded by Nathan "Nat" Daniel in 1947. Throughout the late 1940s, the company produced amplifiers for Sears, Roebuck and Company and Montgomery Ward. 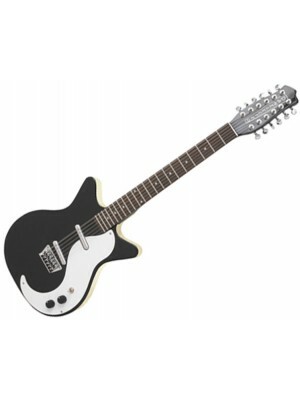 In 1954, Danelectro started producing the Danelectro lines of solidbody electric guitars and amplifiers. 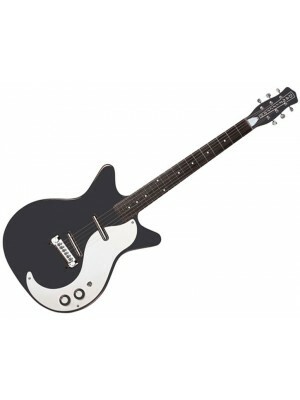 The company was also contracted to make guitars and amplifiers that were branded not with the Danelectro name, but with the names of various store brands, such as Silvertone and Airline. Later hollow-bodied guitars (constructed out of Masonite and plywood to save costs and increase production speed), distinguished by Silvertone's maroon vinyl covering, Danelectro's light tweed covering, the concentric stacked tone/volume knobs used on the two-pickup models of both series, and the "lipstick-tube" pickups—invented by placing the entire mechanism into spare lipstick tubes—aimed to produce no-frills guitars of reasonably good tone at low cost. Danelectro DC59 12 String Electric A Danelectro legend, the delicious doublecut ..
Danelectro DC59M Electric Opportunity knocks! Our pickup supplier “misplaced” a load of our lip..